But Ben Broadbent, Deputy Governor of the Bank of England, puts a more positive spin on it. He says Central Bank Digital Currencies could supplant the money now created by private banks through “fractional reserve” lending – and that means 97% of the circulating money supply. 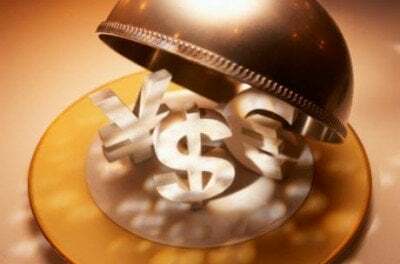 Rather than outlawing bank-created money, as money reformers have long urged, fractional reserve banking could be made obsolete simply by attrition, preempted by a better mousetrap. The need for negative interest rates could also be eliminated, by giving the central bank more direct tools for stimulating the economy. The blockchain is a simple yet ingenious way of passing information from A to B in a fully automated and safe manner. One party to a transaction initiates the process by creating a block. This block is verified by thousands, perhaps millions of computers distributed around the net. The verified block is added to a chain, which is stored across the net, creating not just a unique record, but a unique record with a unique history. Falsifying a single record would mean falsifying the entire chain in millions of instances. That is virtually impossible. [M]oney would exist electronically outside of bank accounts in digital wallets, much as physical bank notes do. This means households and businesses would be able to bypass banks altogether when making payments to one another. Not only the payments system but the actual creation of money is orchestrated by private banks today. Nearly 97% of the money supply is created by banks when they make loans, as the Bank of England acknowledged in a bombshell report in 2014. The digital money we transfer by check, credit card or debit card represents simply the IOU or promise to pay of a bank. A CBDC could replace these private bank liabilities with central bank liabilities. CBDCs are the digital equivalent of cash. Money recorded on a blockchain is stored in the “digital wallet” of the bearer, as safe from confiscation as cash in a physical wallet. It cannot be borrowed, manipulated, or speculated with by third parties any more than physical dollars can be. The money remains under the owner’s sole control until transferred to someone else, and that transfer is anonymous. But there’s no denying the technology is novel. Prospectively, it offers an entirely new way of exchanging and holding assets, including money. One novel possibility he suggests is that everyone could hold an account at the central bank. That would eliminate the fear of bank runs and “bail-ins,” as well as the need for deposit insurance, since the central bank cannot run out of money. Accounts could be held at the central bank not just by small depositors but by large institutional investors, eliminating the need for the private repo market to provide a safe place to park their funds. It was a run on the repo market, not the conventional banking system, that triggered the banking crisis after the collapse of Lehman Brothers in 2008. Private banks could be free to carry on as they do now. They would just have substantially fewer deposits, since depositors with the option of banking at the ultra-safe central bank would probably move their money to that institution. That is the problem Broadbent sees in giving everyone access to the central bank: there could be a massive run on the banks as depositors moved their money out. If so, where would the liquidity come from to back bank loans? He says lending activity could be seriously impaired. Perhaps, but here is another idea. What if the central bank supplanted not just the depository but the lending functions of private banks? A universal distributed ledger designed as public infrastructure could turn the borrowers’ IOUs into “money” in the same way that banks do now – and do it more cheaply, efficiently and equitably than through banker middlemen. There would be no need to find “savers” from whom to borrow this money. The borrower would simply be “monetizing” his own promise to repay, just as he does now when he takes out a loan at a private bank. Since he would be drawing from the bottomless well of the central bank, there would be no fear of the bank running out of liquidity in a panic; and there would be no need to borrow overnight to balance the books, with the risk that these short-term loans might not be there the next day. To reiterate: this is what banks do now. Banks are not intermediaries taking in deposits and lending them out. When a bank issues a loan for a mortgage, it simply writes the sum into the borrower’s account. The borrower writes a check to his seller, which is deposited in the seller’s bank, where it is called a “new” deposit and added to that bank’s “excess reserves.” The issuing bank then borrows this money back from the banking system overnight if necessary to balance its books, returning the funds the next morning. The whole rigmarole is repeated the next night, and the next and the next. In a public blockchain system, this shell game could be dispensed with. The borrower would be his own banker, turning his own promise to repay into money. “Smart contracts” coded into the blockchain could make these transactions subject to terms and conditions similar to those for loans now. Creditworthiness could be established online, just as it is with online credit applications now. Penalties could be assessed for nonpayment just as they are now. If the borrower did not qualify for a loan from the public credit facility, he could still borrow on the private market, from private banks or venture capitalists or mutual funds. Favoritism and corruption could be eliminated, by eliminating the need for a banker middleman who serves as gatekeeper to the public credit machine. The fees extracted by an army of service providers could also be eliminated, because blockchain has no transaction costs. In a blog for Bank of England staff titled “Central Bank Digital Currency: The End of Monetary Policy As We Know It?”, Marilyne Tolle suggests that the need to manipulate interest rates might also be eliminated. The central bank would not need this indirect tool for managing inflation because it would have direct control of the money supply. A CBDC on a distributed ledger could be used for direct economic stimulus in another way: through facilitating payment of a universal national dividend. Rather than sending out millions of dividend checks, blockchain technology could add money to consumer bank accounts with a few keystrokes. Rehypothecation is conceptually similar to fractional reserve banking because a dollar of base money is responsible for several different dollars of debt issued against that same dollar of base money. In the repo market, collateral (such as U.S Treasury securities) functions as base money. . . . Through rehypothecation, multiple parties report that they own the same asset at the same time when in reality only one of them does—because, after all, only one such asset exists. One of the most important benefits of blockchains for regulators is gaining a tool to see how much double-counting is happening (specifically, how long “collateral chains” really are). Blockchain eliminates this shell game by eliminating the settlement time between trades. Blockchain trades occur in “real-time,” meaning collateral can be in only one place at a time. [B]lockchain won’t just kill banks, brokers and credit card companies. It will change every transactional process you know. Simply put, blockchain eliminates the need for clearinghouse entities of any kind. And that means a revolution is coming, a fundamental sea change in the way we do business. Changes of that magnitude usually take a couple of decades. But the UK did surprise the world with its revolutionary Brexit vote to leave the EU. Perhaps a new breed of economists at the Bank of England will surprise us with a revolutionary new model for banking and credit. Ellen Brown is an attorney, founder of the Public Banking Institute, and author of twelve books including the best-selling Web of Debt. Her latest book, The Public Bank Solution, explores successful public banking models historically and globally. Her 300+ blog articles are at EllenBrown.com. She can be heard biweekly on “It’s Our Money with Ellen Brown” on PRN.FM.